If you’re planning a class trip to Parliament Hill, you better do it soon. 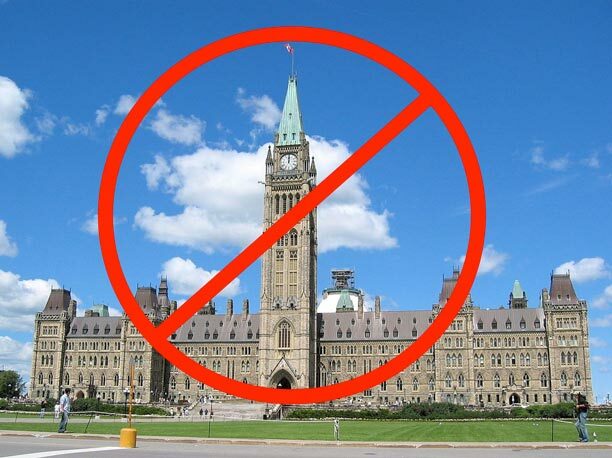 If you and your students want to explore the House of Commons, the Senate or the Peace Tower, you are running out of time. One of Canada’s largest Public Works projects ever will see Centre Block closed for a decade of intensive restoration. This starts in 2018. Scaffolding and cranes on Parliament Hill are nothing new. Up until now, school trips and tours could work around them. The East and West Block buildings have had roof and stonework renovations. The Library of Parliament underwent interior and exterior rehabilitation from 2002 to 2016. However, Centre Block is what gets toured most. It is the last and largest piece of the puzzle. In Social Studies, History and Civics courses, our students learn that Canada’s Parliament Hill was designed and built from 1859 to 1866. This was long before modern building codes and seismic assessments. Now we know that these iconic, Gothic Revival buildings require structural reinforcement to withstand earthquakes. They also need replacement/restoration of stained glass windows, electrical and plumbing refits, Internet and technology upgrades and security adjustments. It is a long and crucial “To Do” list. Public Works and Government Services Canada (PWGSC) is the department responsible for managing Government of Canada buildings. Their goals for the Centre Block Rehabilitation Project are “to fully restore and modernize it, inside and out… to ensure that the building meets current safety standards while also preserving its architectural and historic heritage.” Class trips to tour Centre Block will have to be put on hold for at least a decade. The Centre Block of Parliament Hill is iconic to Canadians and known throughout the world. It stands as a symbol of democracy, responsible government and Canadian history. It also serves as a picturesque example of Gothic Revival stonework and a marvelous blending of materials and design. It has been the backdrop for countless school and tourist photos, civic demonstrations and celebrations. Losing access to it for a decade of reconstruction will no doubt upset many people. For the decade into the 2020s our federal parliament will still function. The House of Commons will shift to the newly renovated West Block. The Senate moves to interim chambers in the Government Conference Centre (the scenic old CP Rail Station, across from the Château Laurier). The Prime Minister’s Office and the Privy Council already use offices in the Langevin Block, on Wellington Street (opposite Parliament Hill). According to staff at Parliament Hill Tours, it might still be possible to take tours of the two key components of our federal government (the House of Commons and the Senate) once they are resettled. For teachers planning far into the future, the renovation project also includes the creation of a modern, multi-level underground complex to link the East, West and Centre Block buildings. This will house a new Visitor Welcome Centre with an arrival hall, security and scanning area, information and ticketing stations, modern washrooms, coat room and gift shop. Class trips will run more efficiently than ever. The renovation of Parliament Hill aims to blend the historic stone exteriors with modern, secure interiors. All the furnishings and artwork from famous rooms like the House of Commons and the Senate will be painstakingly protected, removed, restored and then stored until the decade of renovations is complete. Then everything will be returned to a fully refitted Parliament Hill. There might be one item not well-accounted for, however. It’s a long-standing Canadian parliamentary tradition that the Usher of the Black Rod (like the sergeant-at-arms of the Senate) paces down the halls of Parliament to the House of Commons and knocks on the doors with the “cane of the office.” He does this to summon the Members of Parliament to come to the Senate to hear the Speech from the Throne. This speech opens a new session of Parliament and is ceremoniously read by the Governor General in the Senate. With the House of Commons temporarily housed in the West Block, and the Senate residing in the Conference Centre (across from the Château) and Canadian weather being strong and changeable, let’s hope the Usher of the Black Rod has rain boots and a toque at the ready. His job might be particularly challenging for the next decade or so. You still have time to book group tours of Centre Block and to look out over Ottawa from the Peace Tower. 2017 marks Canada’s 150th birthday, and we get a final year of seasons and ceremonies to mark on Parliament Hill before the closure and renovations start in 2018. Nothing makes curriculum more relevant than seeing it at work or standing in its midst. It is a shame that a decade of students will lose access to the centre of Canada’s government and the seat of such historic and architectural importance. The intensive Parliament Hill Rehabilitation Project is worth studying in itself. Ultimately, this will extend its life and significance far into the future. So if you plan on taking your class to tour Centre Block in person—do it soon. Once 2018 arrives, the online virtual tour Parliament 360 will have to be your in-class alternative. It is an excellent resource, but students get much more excited by the real thing. Maria Campbell is an Ottawa-based high school teacher (OCT certified 1991). She is also a wife, a parent, an avid traveller and a writer.